Following the enormous success of the H.P. Lovecraft Bronze Bust Project and the Edgar Allan Poe Bronze Bust Project, sculptor Bryan Moore has set his sights on a third icon of horror literature: Bram Stoker. Since its publication in 1897, Bram Stoker’s “Dracula” has set the standard for the vampire in art, literature, music and film. It’s influence cannot be denied. Scholars have labored over its implications since the Victorian era. Fans, like Moore, have simply enjoyed it for what it is: classic horror at its most potent. 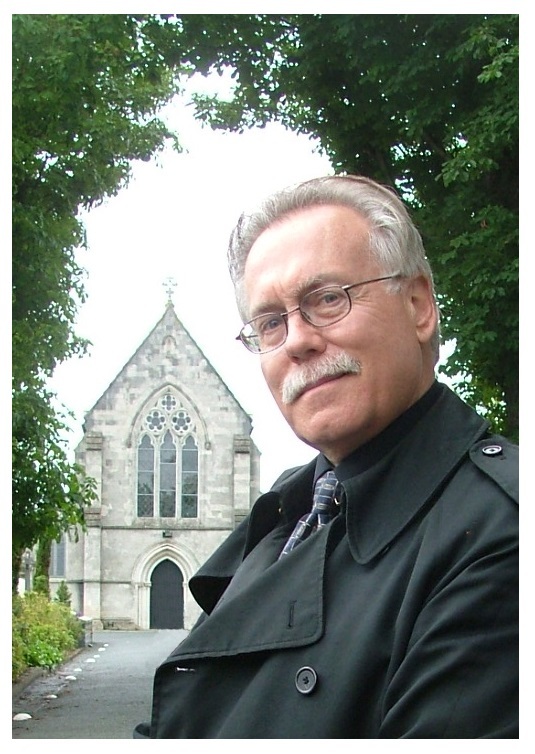 As with the Lovecraft and Poe busts, Stoker will be immortalized in bronze to the city of his birth, Dublin, Ireland. 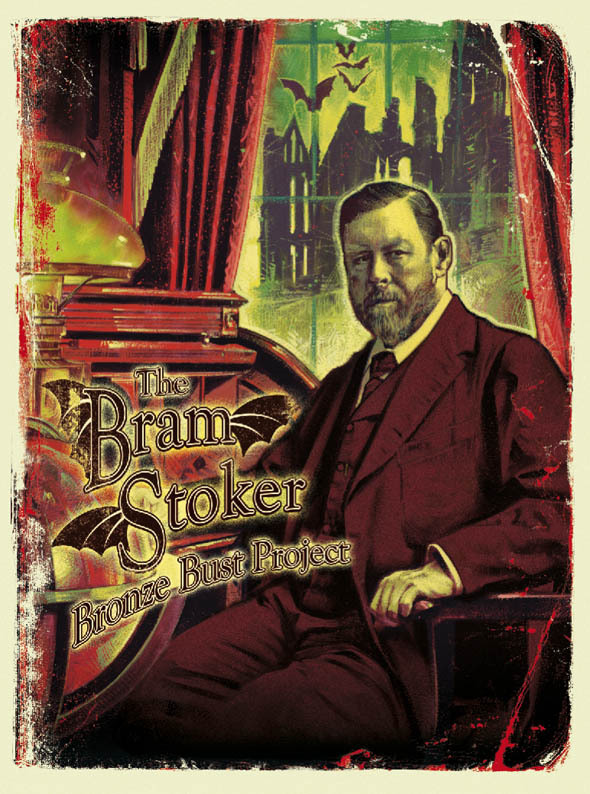 Joining Moore in his literary quest of honoring Stoker is no less than Bram’s great grand-nephew Dacre Stoker, who manages the Estate of Bram Stoker as well as co-author of both the sequel to “Dracula” entitled “Dracula; the Un-Dead” and the non fiction “The Lost Journal of Bram Stoker”. Dacre travels the world presenting his informative and entertaining lecture “Stoker on Stoker” to Dracula fans eager to learn more about their favorite author. 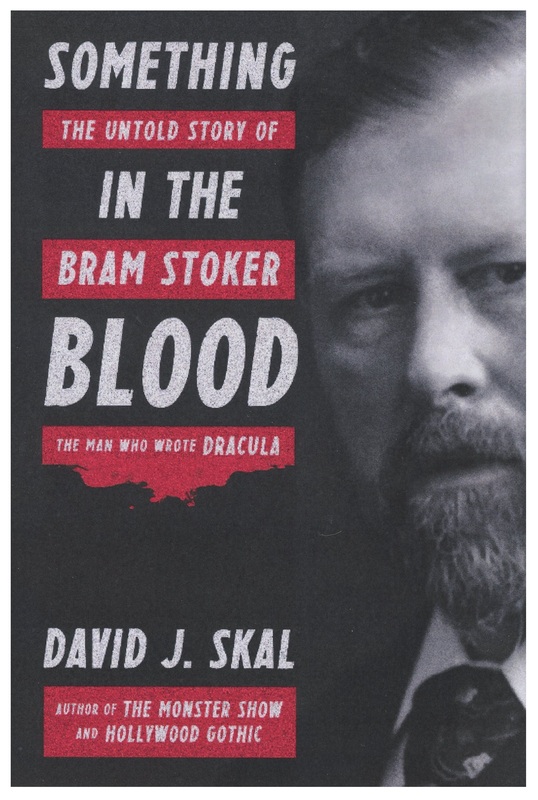 Also on board is noted Dracula scholar, author and filmmaker David J. Skal, whose book “Hollywood Gothic: The Tangled Web of Dracula from Novel to Screen” paved the way for his much anticipated biography, “Something in the Blood: The Untold Story of Bram Stoker”, to be published by Liveright next year. 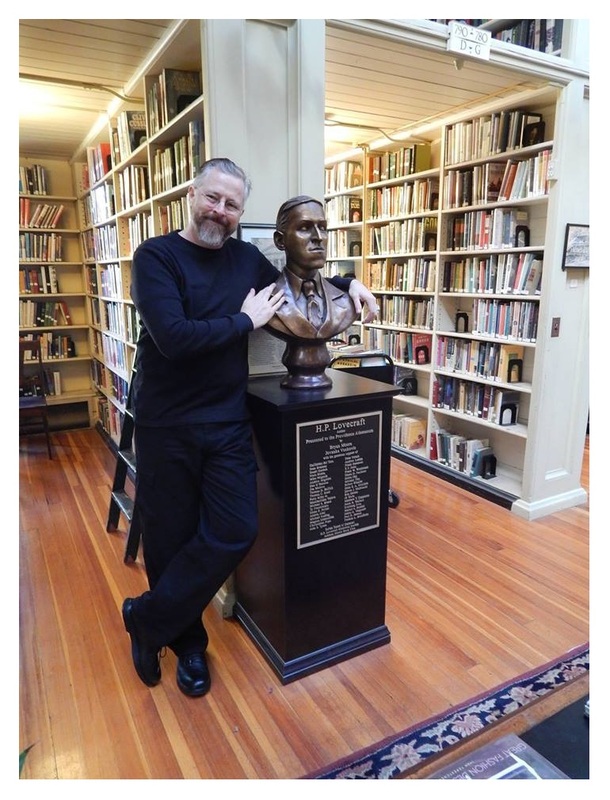 As with the Lovecraft and Poe projects, Moore will be launching a Kickstarter campaign to crowdfund the costs of the bust as well as personally making a financial donation to Children’s Books Ireland, a local organization that promotes children’s literacy. The Library contains images of some of the many different editions of Dracula, from early and rare editions to modern editions featuring Bela Lugosi on the cover. The library also contains images of books about the stage and screen versions of Dracula, Bram Stoker’s other books, biographies of both Bela Lugosi and Bram Stoker, magazines and fanzines.